Board certification by the American Board of Neurological Surgery is considered the gold standard for neurosurgeons practicing in the U.S. The ABNS primary examination requires many months of preparation, and passing it is both a significant accomplishment and integral component in becoming board certified. Contributions from current neurosurgical residents and seasoned practitioners infuse this book with a well-rounded perspective. Having been there and done that, the authors incorporated what they felt was missing from board review books when they sat for the exam - resulting in a "bucket list" study guide. 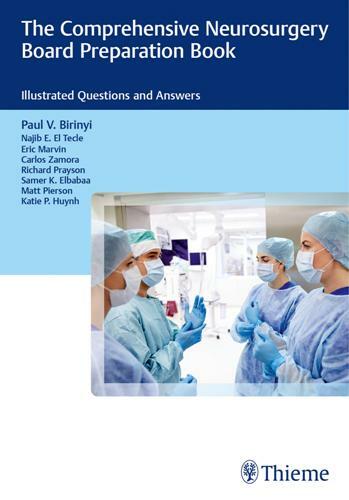 This comprehensive board review book will help neurosurgical residents of all levels prepare thoroughly for the March exam. It is a one-stop self-assessment tool for any neurosurgeon who endeavors to attain and maintain ABNS certification.